For a pastor's kid you would think that giving to others would be second nature for me. As an adult, I have always tried to remember others and put other's needs ahead of mine. I must admit, I have to remind myself to do this. When I was a little girl, we were the family receiving the handouts and hand-me-downs. During the holidays my family didn't volunteer at a homeless shelter or stock the shelves of the local food pantry. We were the family that didn't know what we would have for Christmas dinner. My parents scrimped and saved so we could have Christmas presents.God always provided and used wonderful people along the way to bless our family. When I was a little girl, I remember people from church bringing us bags of groceries on more than one occasion. God has richly blessed my husband, children, and me. I want to use that to teach my children giving and compassion. My wish would be that giving unconditionally would become second nature to my children. So, this Christmas we gave little bags of candy to our neighbors and our mail lady. Hopefully the neighbors will enjoy a little Christmas cheer, but most of all I hope my children learn that it is more blessed to give than receive. 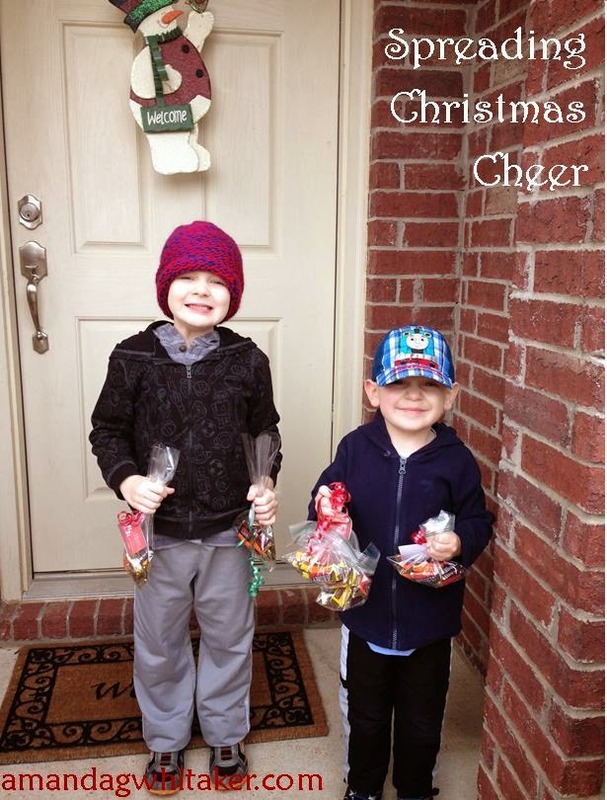 How do you teach your children about giving during Christmas?